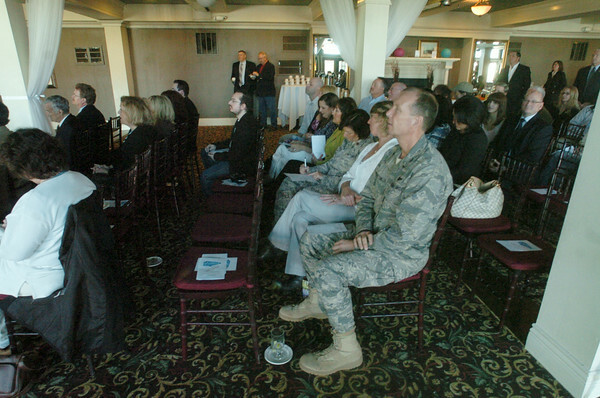 DAN CAPPELLAZZO/STAFF PHOTOGRAPHERLewiston - 914th Air Lift Col. Al Swartzmiller along with others gather at the Barton Hill Hotel as Artpark President George Osborne announces the park’s summer 2011 lineup. Headline acts include ZZ Top, A.O.R. and Lynyrd Skynyrd among others.